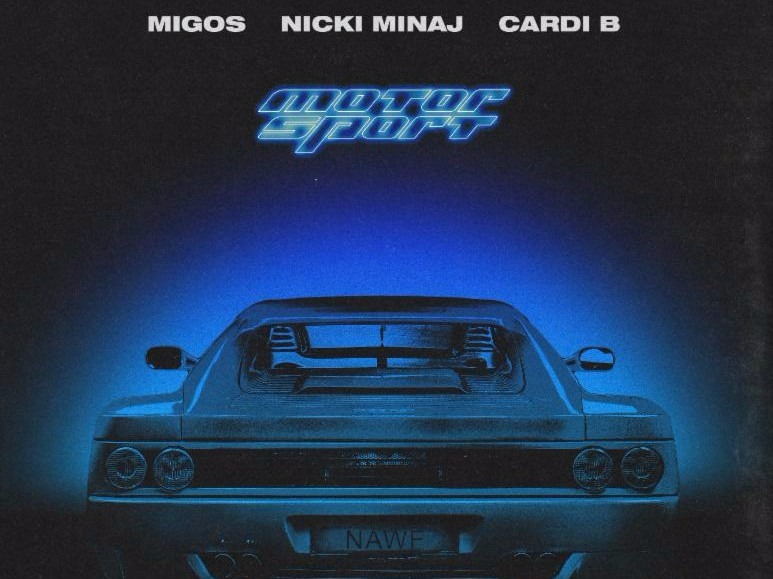 Migos, Nicki Minaj, and Cardi B have formed a hip-hop A-Team for a new track release entitled "Motor Sport", the first single off Migos' upcoming Culture 2. Migos has been heavily teasing the new album, and after Culture went platinum in only five months the expectations are high for the new piece. "Motor Sport" is a pretty low-key affair as far as instrumentals go, with a low, purring bass accompanied by sparse and foreboding beat. Migos take the opening verse pretty solidly, but the middle verse belongs to Cardi B, and she takes over with a drive-it-like-you-stole-it level of confidence. Even though she's dating Migos' member Offset, it's clear that she's on the track by her own strength. Nicki takes the penultimate verse before Migos closes out, but her appearance alongside Cardi B, which is their first together, probably squashes any rumors that the two had beef with each other. Yet despite all the big name appearances, "Motor Sport" comes across as more of dark club banger than a "popping bottles"-type banger. Culture 2 was originally slated to be released today, but with the late arrival of the first single, and no other news from the Migos camp, that doesn't seem very likely. Regardless, "Motor Sport" is definitely enough to sate the hunger until the full things comes out.